Craft beer lovers prepare yourself, because another brewery is squeezing itself into Richmond. 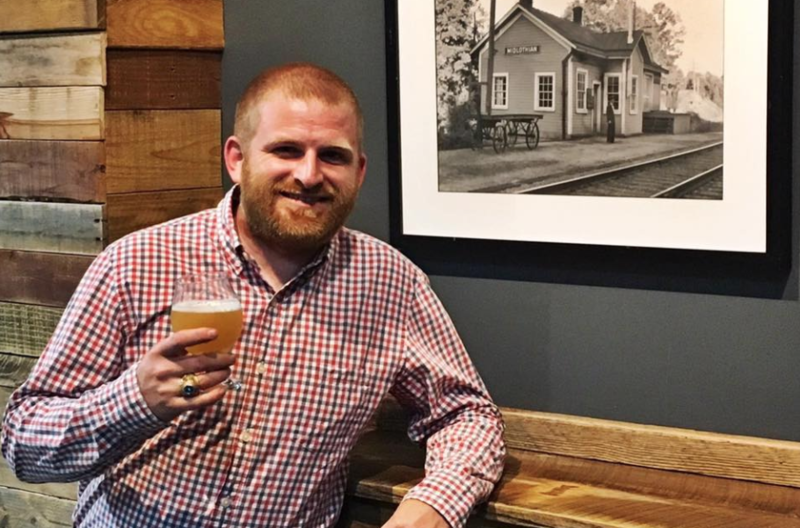 The owner behind Steam Bell Beer Works in Chesterfield is planning to open Canon & Draw Brewing Company this year in the Fan. The 5,000 square-foot space on West Main Street will have a taproom, eight taps when it opens, a seasonal menu and a space for private events. Brad Cooper, Steam Bell’s Owner and Head Brewer said expansion in the area was always the plan. “Since the beginning, we knew that we wanted to expand, we just didn’t really know what was the best way to do it, we found this niche out here in Midlothian, setting up this tasting room where there’s events, live music and food trucks and that was something this area of town was missing,” Cooper said. Steam Bell Beer Works opened in June 2016 at 1713 Oak Lake Blvd. off Genito Road, the first stand-alone production brewery for Chesterfield. The brewery has since built up quite the following with a focus on farmhouse ales and sours. Cooper said after looking around at some buildings in the city about fourth months ago, they fell in love with a space located on West Main Street near Belly Timber Tavern and Baja Bean Company. Initially, Cooper said he was looking at renting the smaller of two spaces located at 1527-1529 West Main St., a building that was once home to Eclipse Laundry, but since August has been under renovation by Blackwood Development and P&J Properties to bring apartments and more commercial space to the area. Read Richmond BizSense’s article on that here. Cooper soon realized they could use more room so they decided to lease both spaces. “It’s all going to be open, were going to have the ability to close off that smaller space and host private events,” Cooper said. The brewery is still in lease negotiations for the space. Canon & Draw Brewing Co. will have at least eight beer when it opens, including a selection of lagers, saisons and IPAs. And Cooper said craft beer enthusiasts coming to the brewery can expect a different lineup of brews at this brewery than are seen at the Chesterfield location. Their Time is Money, Money is Power, and Power Corrupts have been their core IPA series, and the brewery recently released a new IPA called Old Beau. 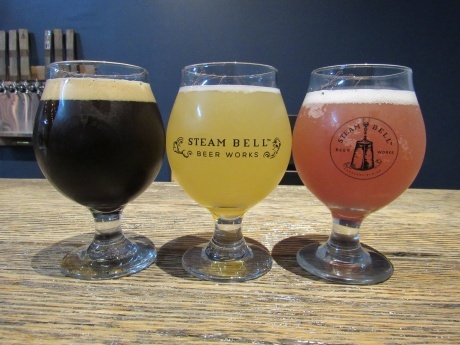 In addition to beer, Steam Bell Beer Works recently launched a line of craft soda in their taproom called Trussing Craft Fizz, with four flavors including Ginger Lime, Mint Tea, Blueberry Basil & Apple Sage that will be available at the new brewery as well. “We make the sodas in house it doesn’t use any other added sugars,” he said, mentioning it offers an alternative to designated drivers and people who don’t fancy craft beer. Canon & Draw will serve a small seasonal menu, but Cooper said they are still working the details out on what that will be. The Fan location will operate on a 7 bbl brewing system, a copper-clad brewhouse which is a little over 200 gallons at a time. Cooper said it will be on display in the front window so any people passing by will be able to catch a glimpse of the inner-workings. 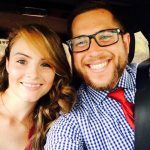 And this time around, it will be a family affair with Brad’s sister Brittany Cooper, a partner at Steam Bell, leading all brand, partnership and operational efforts at Canon & Draw, their father, Tom, who will serve as the Director of Sales and their mother, Connie, as the Director of Finance. Steam Bell has a rustic no-frills vibe, decorated with pallet wood for tables, wooden taps, old photos, metal bar stools and bistro lights. Brittany said the look of Canon & Draw will be much different. The name Canon & Draw stems from the French word for barrel (canon) and one of the primary tools used in the barrel making process, the draw knife. Steam Bell actually has a connection with the brewer’s last name. A steam bell is a machine coopers or barrel makers, used to heat up wooden staves of a beer barrel to bend them together into the curved cask shape. The brewery has Garden Grove Brewing as a neighbor over in Carytown, but this will be the first for that neighborhood. It is also the latest in a slew of breweries slated to open this year in Richmond including Vasen Brewing Company, Twisted Ales, and Intermission Brewing. Canon & Draw Brewing Co. is set to open in late summer or early fall. You can follow their progress on their Facebook page here and their Instagram here.